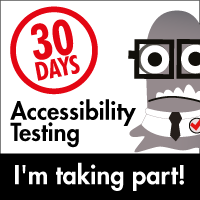 Welcome to a new 30 Days of Testing Challenge. 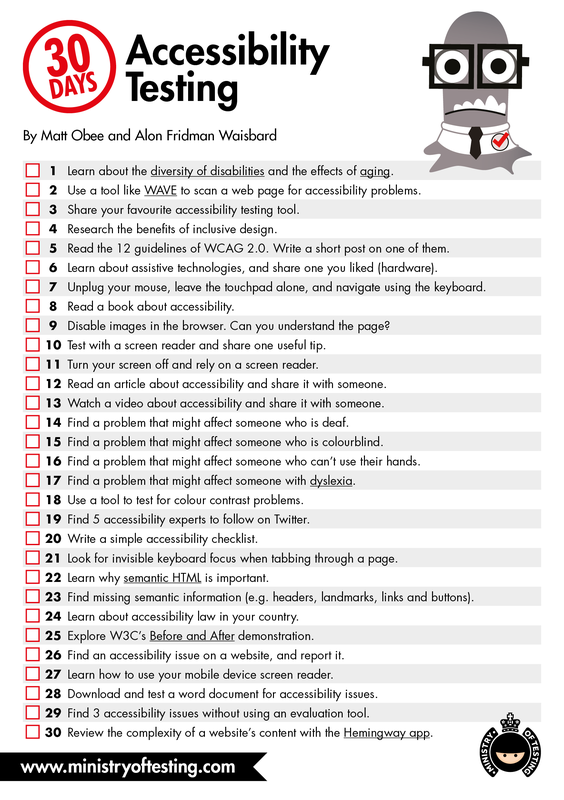 Below is a list of 30 challenges around accessibility testing, one for each day of the month. Download below. Save it somewhere. Print it out. Stick it on your wall. Let’s do this! As always, you can do this anytime anywhere, however, we will be doing a joint effort to encourage others to kick this off on the 1st of May 2017. Taking part? Let the world know with our smart little badge!